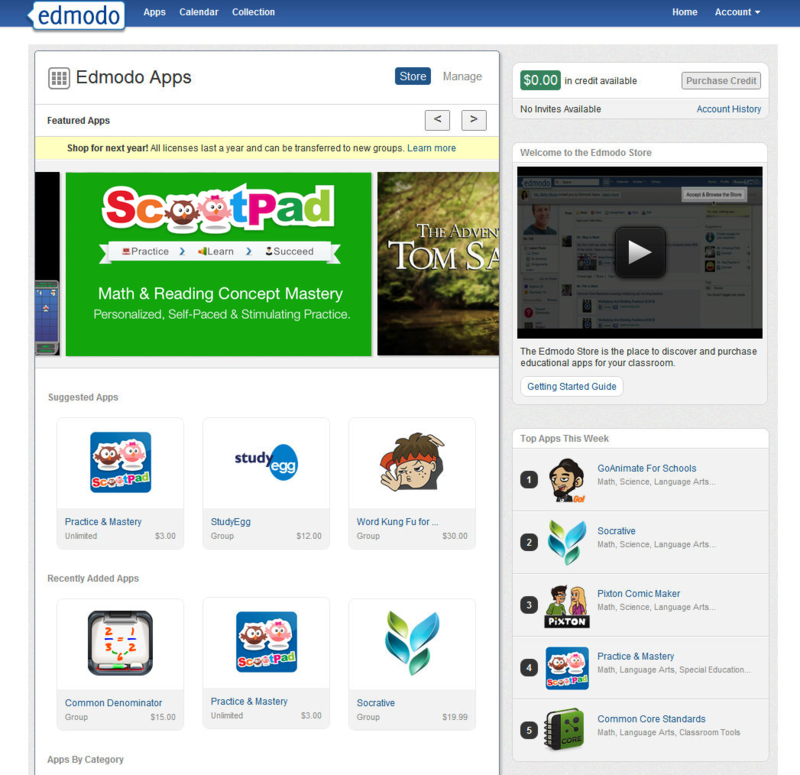 Milpitas, CA – Jul 5, 2012 – ScootPad, a leading personalized learning platform, today announced the availability of ScootPad Apps on the Edmodo App Store! ScootPad App was released on June 18th 2012 on the Edmodo apps platform and was ranked #4 on the “Top Apps This Week” chart for the following 2 weeks in a row since the launch. Edmodo is a rapidly growing learning community, with over 7 million students and close to 1 million teachers, where teachers and students connect and collaborate securely. ScootPad is available on the Edmodo Apps platform for teachers and administrators to easily install and import students into ScootPad with under 5 clicks and a few minutes. ScootPad is integrated with Edmodo for single sign-on, enabling both teachers and students to launch ScootPad with a single click from their Edmodo account. It’s all about ease and efficiency, enabling teachers and schools to get the best tools in their students’ hands faster than ever before. Founded in 2011, ScootPad is an advanced content delivery and engagement platform that enables deeply personalized and rapidly accelerated learning experience. Since it’s launch in 2012, 25,000+ schools across 8,000+ districts have started using ScootPad (and growing rapidly by word-of-mouth). For more information, visit www.scootpad.com.